The first question we may pose is a common problematic that can be found in previous pages of Viewpoint: what kind of Lenin does Bensaïd give us?8 How does Lenin’s understanding of the relation between theory and practice, organizational form and class struggle, state power and ultimately, the revolutionary crisis, bear on present struggles? As we will see, Henri Lefebvre’s “unfortunately neglected” book on Lenin was a major influence on Bensaïd’s own reading, primarily in its comprehensive and careful reconstruction of the connection between Lenin’s contributions to historical materialism and his advancement of a distinctly Marxist political theory, comprising both a theory of the state and revolutionary political action. Bensaïd’s text here and his later work will bear the traces of Lefebvre’s interpretation, but we will also encounter an even more intriguing and innovative fusion of these two facets of Leninism which, in an untimely fashion, endeavors to think politics both as an art of scanning historical possibilities and as a surveying of situated conflicts for moments of strategic intervention. The second issue concerns the qualification of a revolutionary crisis being restricted to the status of a notion, not a concept. This separation is connected to the distinct difference drawn between a revolutionary situation and a revolutionary crisis. With the latter problem, there is a clear reference to the French historical epistemological tradition in Bensaïd’s analysis of how Lenin tried, and ultimately failed, to truly “establish [fonder] a concept,” understood as a definition that can hold up to the modalities of history, theory, and politics.9 There could not be, in other words, a truly scientific concept of the “revolutionary crisis” in the Althusserian sense, since its predicative characteristics necessarily had to pass through the test of practice: therefore, it could not escape the trappings of ideology and remained at the level of the notion. This line of questioning, then, involves a strict delineation between the subjective and objective aspects of a crisis (between what can be described and what has to to be accomplished through practice) through a methodological lens that is tainted by an “ultra-Bolshevism” inspired by Lukàcs circa History and Class Consciousness, with the subjective factor – or revolutionary party – as the nodal point of differentiation and decisive element. Ultimately, I will look to Bensaïd’s later writings to answer this question of the demarcation between a revolutionary situation and crisis, or notion and concept: there, he notes that possible resolution of this problem can come from seeing “crisis” as a “strategic concept,” a concept that has political implications relative to its historical and theoretical efficacy. If we we want to gain an understanding of the basic ideas underlying Bensaïd’s dense text, it is useful to start with the “unjustly forgotten” book his thesis supervisor devoted to Lenin’s thought, La pensée de Lenine, from 1957.10 There Lefebvre embarks on an ambitious attempt to synthesize all the periods of Lenin’s thought, an approach that finds definite echoes in Bensaïd’s own panoramic view that connects “What the ‘Friends of the People’ Are” to the “April Theses,” within a coherent theoretical and practical narrative. There are three features of Lefebvre’s account in particular that I want to highlight for their importance to Bensaïd: first, the consideration of Lenin’s rigorous investigation into the expansion of capitalism in the Russian countryside and the drawing out of its strategic and political implications; second, the role of the party as the principal “subjective factor” in the class struggle; third, and most significantly, the attention given to the notion of revolutionary crisis as the moment where the political, economic, and social contradictions engendered by capitalism fuse and condense to produce a conjuncture where true change is possible, when it becomes possible “to sketch the outline of another mode of production.”11 We can take these features in turn. Lefebvre links Lenin’s body of thought as a whole to his initial investigation into the conditions of the development of the Russian proletariat: “What has Lenin contributed? A theoretical analysis of the totality [ensemble] of Russian society and its historical development – a new analysis that led him to a new analysis of the global situation itself.”12 Lenin’s Marxist stance in theory and politics – what Gramsci would call his methodological criterion – allowed him to grasp historical and societal development in all its contradictory reality. Lefebvre continues: “it was necessary to find a revolutionary formula specifically adapted … to Russian conditions, adapted to the backward countries that are predominantly agricultural.” But this agricultural basis does not diminish the role of the proletariat: “the revolution forming in Russia – and in Asia and other continents – will have Marxism as a guide, the proletariat as the leading force.”13 From his detailed study of the ongoing introduction of capitalist social relations into Russian agriculture, Lenin ensures that this thesis – “the capitalist mode of production becoming increasingly dominant in Russia” – is the focal point for his political strategy, stressing the leading hegemonic role of the proletariat in the coming revolution.14 While there is clearly (as will be shown below) a complex interplay between rupture and continuity in Lenin’s thought—chiefly based around the outbreak of the First World War and the collapse of the Second International, as well as his close reading of Hegel’s Logic15—Bensaïd will maintain even in his later work that this “foundational work of his youth… will put in place the problematic that subsequently allows him to make theoretical corrections and strategic adjustments.”16 This provides an initial yet cohesive framework that can be bent and shaped in light of the shifting terrain of conflict, as will become evident in the particular shifts that took place in Lenin’s political vocabulary and focus from 1905 to 1917. As parenthetically noted above, the traumatic shock of the almost unanimous support given by the European Social-Democratic parties for war credits in 1914 allowed Lenin to modify as well as systematize his conceptual and practical understandings of revolutionary situations and revolutionary crises in “The Collapse of the Second International.” The revolutionary crisis became essential to his overall strategic approach, highlighting the break between Lenin’s outlook and the majority opportunist orientation of the Second International. 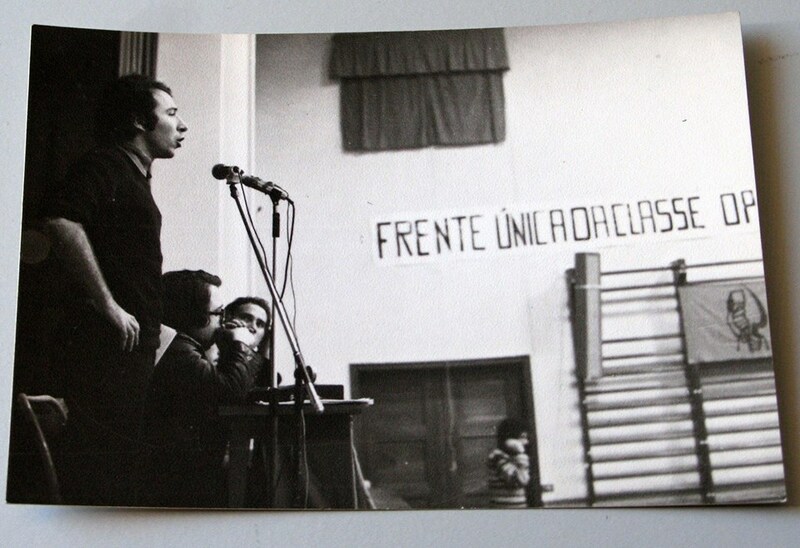 Above all, the consideration of the “factors” that are at work within a revolutionary situation implies a reworking of the role of the party, from a pedagogical role to “a conscious project, a force capable of initiative – of decision.”26 Instead of an educative party that mainly has a clarifying task, the party becomes a “strategic operator” that is ready not only to reflect upon but also make tactical choices depending on the current relation of forces within the political struggle. And without a notion of crisis, the “taking of power by the proletariat… becomes strictly unthinkable… all avoidance of the revolutionary crisis leads sooner or later to the replacement of the perspective of revolution by a gradual and electoral process of partial conquests, substituting the movement for the goal.”27 The crisis, understood as the theoretical and practical lens through which to view political struggle, breaks up the continuity of revolutionary strategies based on economistic themes of development and growth, and keeps the question of working-class emancipation as the end goal. Revolutionary strategy now articulated a plurality of times and spaces through the analysis of concrete, conflictual situations and precise evaluations of the national and international class struggles that did not accord to any form of historical rationality, thus “combining history and event, act and process, the taking of power and the ‘revolution in permanence.’” Bensaïd will come back to this question of the crisis as a “discontinuity within continuity” in his thesis. This emphasis on the theoretical centrality of revolutionary crisis is perhaps the most noteworthy upshot of Bensaïd’s continual engagements with Lenin’s thought, as he takes Lefebvre’s short mention of the notion’s importance to a much more rigorous level. This is clear in his balance-sheet of the events of May, Mai 1968: Une répétition générale [May 1968: A Dress Rehearsal], co-written with Alain Krivine right before the completion of the master’s thesis.28 This work contains the essentials of Bensaïd’s outline of the elements of a revolutionary crisis, as the authors analyze Mai ‘68 as an “objectively” revolutionary situation that fatally lacked a political subject to work towards its resolution–thus remaining at a “pre-revolutionary” level. The inexistence of “the subjective conditions of revolution in May,” the lack of a “sufficiently organized and politically educated political force” that could take up the project of overthrowing bourgeois power and radical social transformation, meant that there could not even be discussion of a “situation that was ¾ths revolutionary.”29 Revolution, on this view, is not a matter of percentages. Bensaïd’s reading of Lenin will stress the “interdependence” of the elements of revolutionary crises: but it is precisely this interdependence or reciprocity of conditions (i.e., subjective and objective) that make the formation of a concept of revolutionary crisis so difficult. The first vertical column (social formation, spontaneity, ideology) corresponds to the particular, the middle column (revolutionary crisis, party, theory) corresponds to the singular, and the last column (truth, class, mode of production) represents the universal, or the basic concepts of historical materialism. It is the dialectical interaction of the first and third columns with the middle (singular) terms that specifically provides the historical conjuncture of a revolutionary event, with the last column reduced to, or condensed into, their most acute and antagonistic forms. So, while the revolutionary crisis can only be the crisis of a determinant social formation with all its contradictory and overlapping realities, it still lays bare the antagonistic relation between the working-class and the bourgeoisie, marking the “determinate unity of the extremes.”32 The party is what allows, in the best Lukácsian fashion, for the passage from the proletariat as the theoretical subject of the revolution to its role as the political revolutionary subject. More ambiguously, the crisis is what allows for the intersection of truth and ideology to be measured through revolutionary theory, that is, Marxism. It is through the crisis that theory can take on a practical role. As he writes later, the crisis is the moment where theory can be transformed into strategy, touching upon practice. It is, in an interesting turn of phrase, the “truth-operator of an event,” mediating and suturing the hole between continuity and discontinuity, diachrony and synchrony. A revolutionary crisis, then, constitutes a “test of truth” for these different groupings: for the social formation, by heightening the contradictions between the antagonistic classes of the capitalist mode of production; for the party-organization in that it must “take on the state” through its leadership of the proletariat, while also fighting opportunistic and reformist deviations with its own ranks; and finally for theory in that it allows for, in a historically determinant and differential manner, a “reconnection” of truth (historical materialism) and ideology (class struggle or political practice). From this passage we can see how the question of strategy is implicated both in the Leninist notion of revolutionary crisis and its theoretical-practical implications (the crisis transforms the place or role of theory and the party), as well as Bensaïd’s own understanding of historical time that stresses the “primacy of politics over history.”44 In a way, this is an example of Bensaïd’s heterodox historical materialism, what could be described as “the concrete analysis of historical possibility” that combines historical reflection with strategic foresight and tactical creativity.45 Revolutionary politics must have a conception of how ruptural events are historically determined. Today, when it seems that we can’t get away from the word “crisis,” this combination or merger of perspectives is more relevant than ever. Bensaïd’s Lenin invites us to ask ourselves: what is a crisis, how do we think its emergence, and what do we do about it? For what are we to do when the real crisis happens?